Yoga and aromatherapy – a great and effective combination for the body, mind and soul. One of the most important thing in yoga is breathing. Even by just inhaling and exhaling very air which we breathe can heal, cleanse and soothe. If we are able to breathe, we are able to do yoga. Aromatherapy helps us in yoga through scents. When you feel a pleasant smell, we breathe more intensely. Our breathing is deepens and becomes a regular. Inhalation scents travels through the nose to the brain that responds to it and then sends signals to the body. Our organism stimulates natural ability treatment. 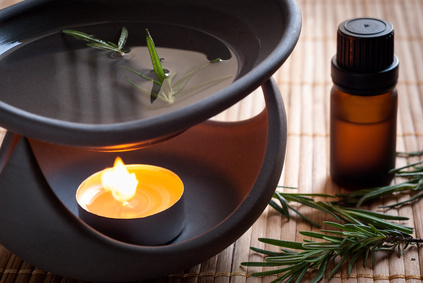 In aromatherapy practice we use essential oils of the highest quality. We cooperate with time-proven companies with many years of experience. Plants grown in organic farming and their harvesting and subsequent processing are under way with love and consideration. And the same love goes the scents into our mind, body and soul.